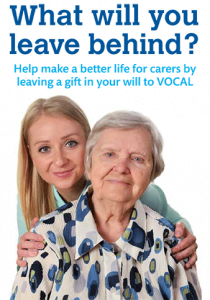 Help make a better life for carers by leaving a gift in your will to VOCAL. 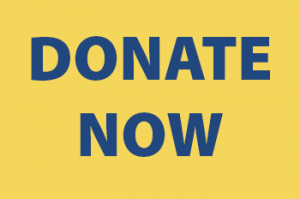 Whether you are a carer or know someone who is a carer, or you have been receiving care yourself, your gift could help make a real difference to someone in need of help. However large or small, your legacy could provide additional support for many carers who feel isolated and struggle alone with little or no help. A legacy is a specific gift in your will. It could either be a sum of money, an item or it could be a share of the value of your estate after all bills have been paid and all considerations to family and friends have been honoured.Leaving a gift to charity has the added bonus of being exempt from tax, so it may reduce the amount of inheritance tax that is due from your estate. Why leave a legacy to VOCAL? 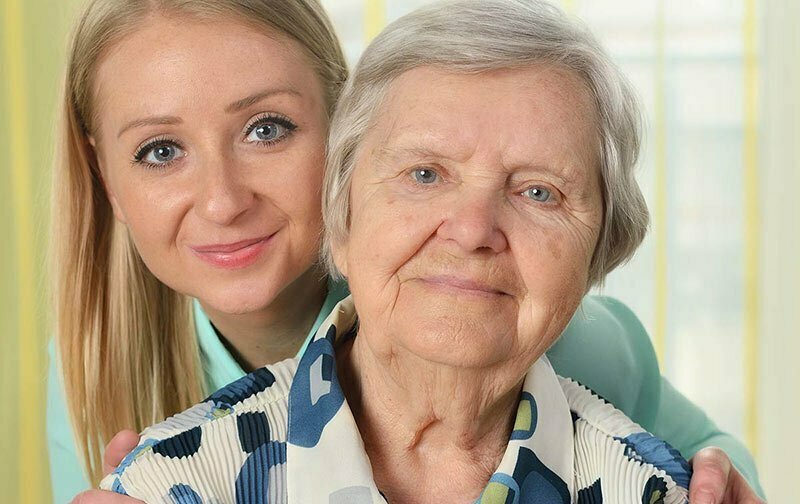 At VOCAL, we can guarantee that your legacy will reach carers in greatest need and will make a genuine difference to their lives – a great way for your generosity to last beyond your own lifetime by offering vital support to local carers. Why not ask your solicitor about leaving a legacy to VOCAL? Your lasting legacy will help to make a better life for carers across the Lothians. If you don’t have a solicitor, VOCAL can help.